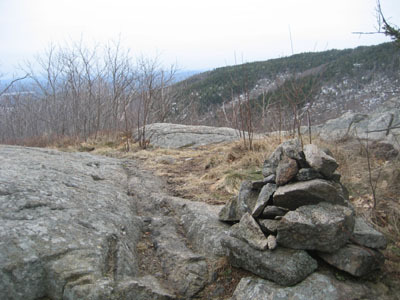 Our original plan had been to do a snow-free hike down in the Blue Hills of Massachusetts. The weather forecasts all agreed that this would not be a good idea, however, so we decided to move our venue a bit to the north. Starting on the Gunstock Mountain Trail, we had snow-free hiking for the bulk of the ascent. 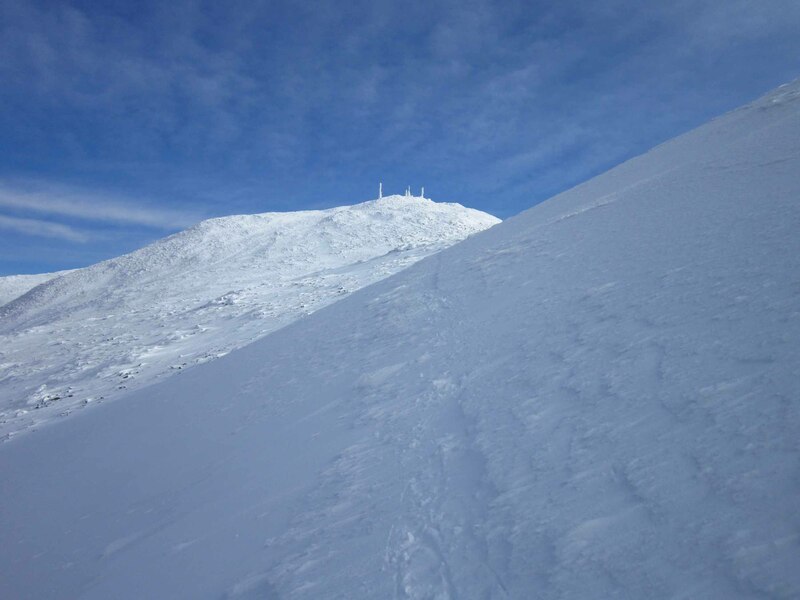 As we neared 2,000 feet, however, we encountered ice and increasing amounts of snow. 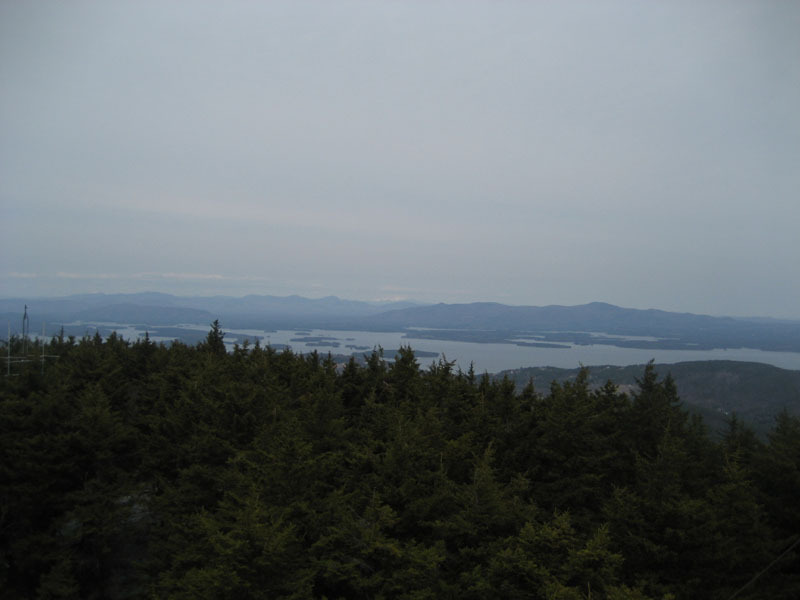 Arriving at the summit, we had cloudy skies with decent views - snow capped peaks including the Presidentials and Franconias jumped out in the distance. 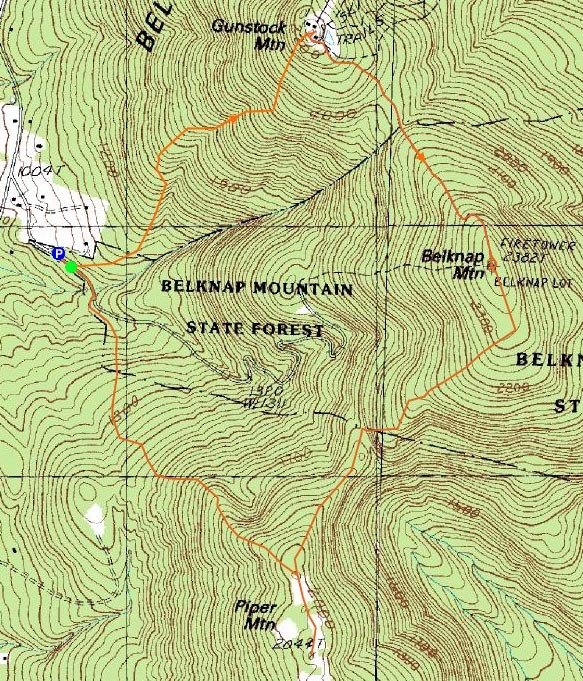 Our next stop we Belknap Mountain. 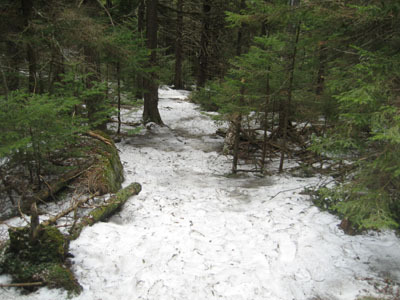 The trails in between were a bit tricky, with constant ice and snow monorail. The views from the summit fire tower were good, though limited to the south and west. While windy on the tower, things were calm enough at the base of it for a leisurely lunch. Our final stop of the day was Piper Mountain. 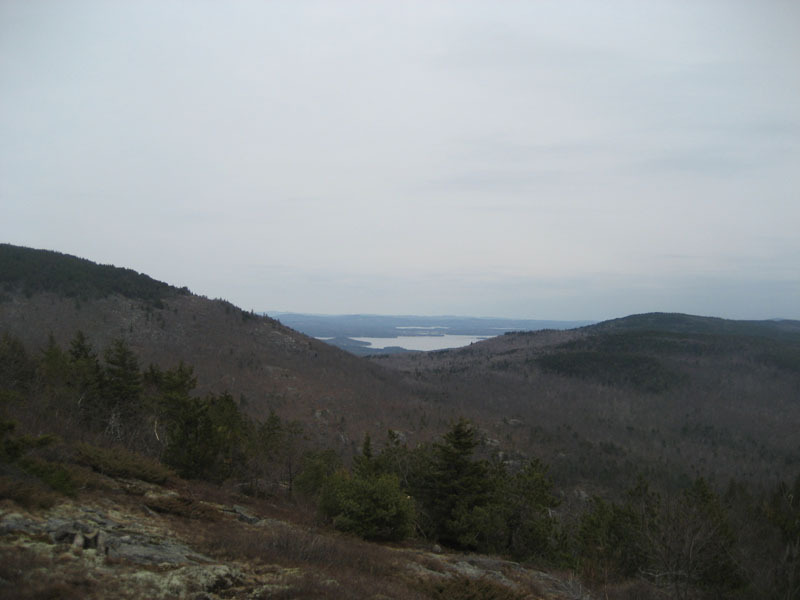 My first time on the White Trail (other than the top portion), I was surprised by the multiple ledge viewpoints along the way. We left it awhile later, talking the Old Piper Trail to the top of the ridge, then working our way over the mostly bare ledges to the highpoint. 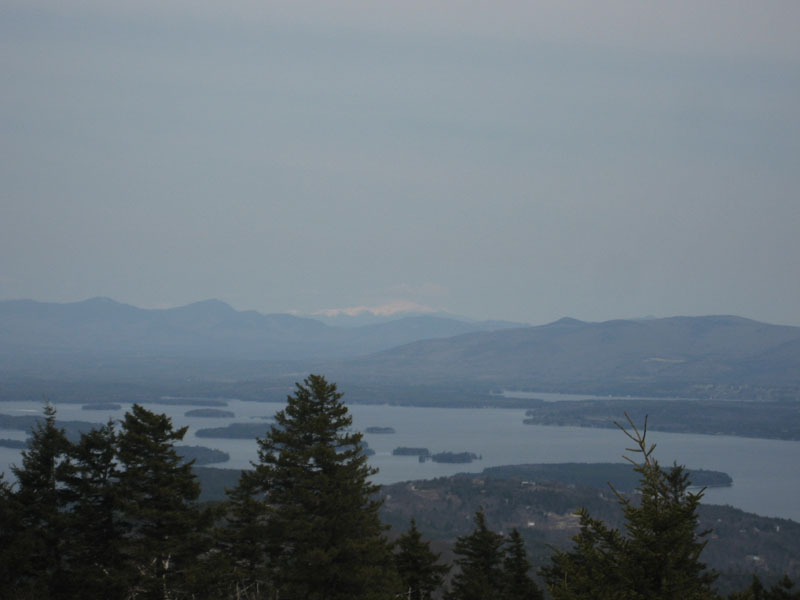 Near the highpoint, we had nice views toward Lake Winnipesaukee. The first portion of the descent on the Piper Trail was a bit tricky due to ice, however things went a bit more smoothly as we dropped in elevation. Though the forecast called for decreasing clouds, we still had full cloud cover overhead by the end of the hike. It did not rain, however, making the relocated plan a success! 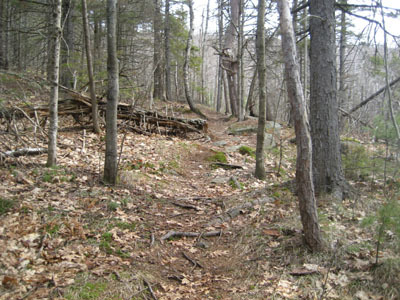 Directions to trailhead: From Route 11A East (from Route 3), take a right on Hoyt Road. 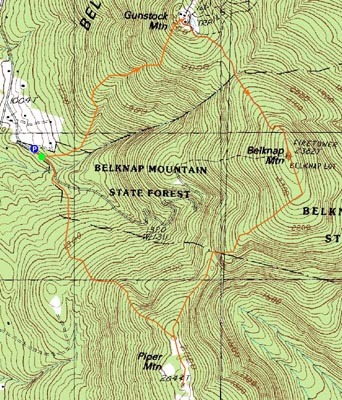 Continue down this road as it becomes Belknap Mountain Road. 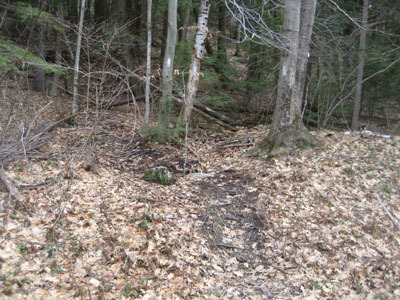 Look for Carriage Road on your left - offseason parking is at the gate.